Bourbon and cigars are a match made in heaven. Few things are more satisfying, from a palate pleasing point of view, than pairing your favorite cigar with a suitable libation. But not all fine bourbons and fine cigars pair well, and a bad pairing choice can ruin the experience of both. Sure, you could just drink whatever and smoke whatever, but some cigars just make the drink open up and come to life. Instead of using trial and error to find a bourbon and cigar pairing that works for you, use some of the suggestions below to help you get the most out of the experience. Just as Master Distillers work to create a whiskey that has certain characteristics (smoothness, heat, sweet, smoke, etc), so to do Cigar Masters. 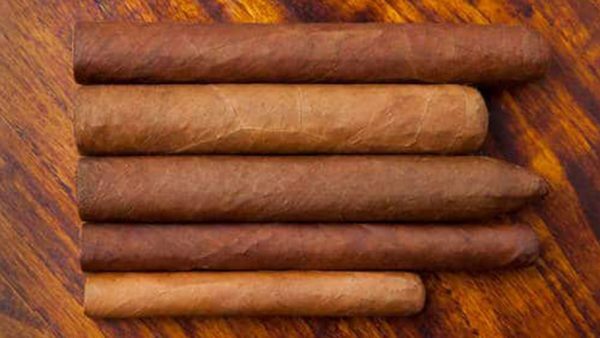 Professional cigar makers go to great lengths to express flavors like citrus, oak, allspice, and chocolate in their cigars. So just as you would appreciate the elements of a fine bourbon, you should also appreciate the subtle flavors hiding in the smoke. 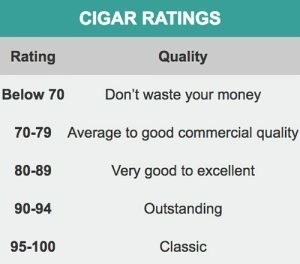 There are 3 characteristics of cigars that can help you determine a good fit for your pairing: the cigar’s ‘body’, the size, and the rating. Mild, medium, or full – the body of the cigar describes the strength of the taste of the cigar smoke. The bigger the stogie, the longer you will be smoking it. Pair bigger cigars with bourbons that have longer finishes. This will give you plenty of time to enjoy both. Your agenda is also a factor – longer, larger cigars can be enjoyed for hours so if you dont have all day to smoke, choose a cigar that is shorter in length and smaller in diameter. Speaking if diameter, cigar sizes include both length and diameter or the “ring”. The “ring” unit of measurement refers to 1/60th of an inch. For instance, a cigar that is 5.5 x 42 means that the cigar measures 5.5 inches in length and 42/60ths of an inch in diameter. Now that you know a few cigar basics, you are ready to start pairing. 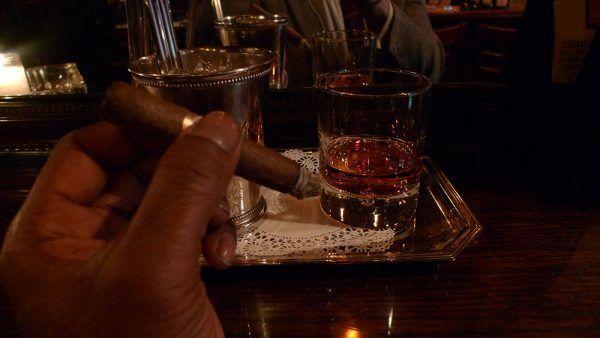 The best suggestion that I have gotten is to match the body of the bourbon to the body of the cigar. Evan Williams Single Barrel is a lighter-bodied and mild bourbon at around 86°. A good suggested pairing would be a Macanudo. Macanudo are premium cigars with a mild, aromatic and smooth character. The creamy, spicy sweetness of the Macanudo dances with the orange, vanilla, and caramel flavors of the Evan Williams SB in a way that compliments both. You can grab 6 Macanudos Collection with a lighter on sale now here. This is a nice pairing that can be enjoyed any day of the week, any season of the year, and in mixed company. Rock Hill Farms is one of my favorite medium bodied bourbons. Not too hot (100°), not too rough, and the finish is appreciable but not too long. That doesn’t mean Rock Hill Farms is a bourbon that you can pair with any old cigar. Its mash bill is high-rye at about 12%, so cigars that have a spice kick in their own right should be avoided. The honey, fruit, and oak in the bourbon should be paired with a cigar that respects those flavors while bringing its own dimension to the experience. Nice suggestions are the popular Drew Estate Liga Privada or the popular Cohiba Esplendido. The Cohiba cigar was created by Che Guevara (of Cuba fame) as a super-premium cigar strictly reserved for Castro and other world dignitaries. The Cohiba Esplendido is a rich, creamy tobacco with a buttery character that plays oh so nicely with a three finger pour of Rock Hill Farms bourbon! This is the pairing you would break out to wow a new client, for special occasions, and for holidays. Of course, if you and the crew are planning to hit the town, Rock Hill Farms and a nice Cohiba can be a great kick-off. Booker’s Bourbon (my personal favorite) is a full bodied, full flavored, full proofed bourbon that can easily run over a mild mannered cigar. A good pairing is one that compliments the orange peel, vanilla, leather, pecan, honey and heat of the Booker’s without losing the flavor and fullness of the cigar. Enter the legendary Don Arturo Gran AniverXario Fuente; an intense cigar with pepper, cinnamon, and coffee flavors. The Don Arturo can be a little hard to find, so H. Upman makes a great stand-in. H. Upman is one of the oldest cigar brands around today, and was established in Cuba in 1844. This is the kind of pairing that celebrates life’s victories – your best man getting hitched, winning a long-fought for promotion, closing an important contract, or welcoming a new life into the world. Not every pairing that you try will work. We all have different perceptions, styles, and tastes. When all else fails, smoke what you got, drink what you got, and if they don’t go together, enjoy them separately. #BourbonLife isn’t so much about getting it right as it is about enjoying your bourbon and stogies for what they are! I had a lot of fun writing this and doing the – ahem – research. If you have a favorite pairing, let us know in the comments section! Demitrius. Can you email me at [email protected] and let me know what kind of stoagie you thinkk would pair well with Blanton’s Single Barrell bourbon please?